For the past 3 years I have worked for Southern Hills Christian Church and love working at Southern Hills Christian Church. I enjoy my weekly tasks. I enjoy hanging out with families. I enjoy teaching kids about Jesus. And I LOVE my church family. One of my biggest joys is the staff that I get to work beside each week. They are my closest friends and really work together as a family. I read earlier this week that just 30% of employees are engaged and inspired at work, according to Gallup’s 2013 State of the American Workplace Report. This is very disheartening. We spend most of the hours of our lives at work and if we don’t feel engaged or inspired we are just punching a clock. Today was “bass day” and while I understand many people in America do not like their bosses or their jobs, I love mine. 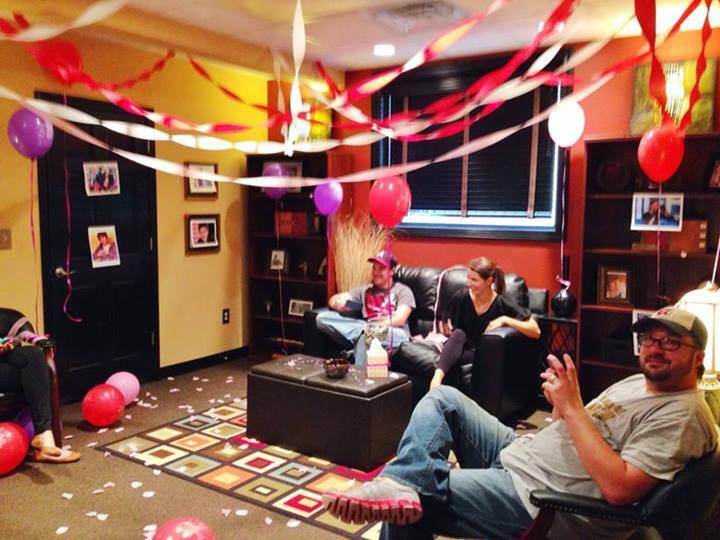 I gathered the available staff to surprise Shannon with what I knew he would like best, Justin Bieber. We decorated his office and enjoy startling him as he got back to the office. Here are some pictures and a video for your enjoyment.